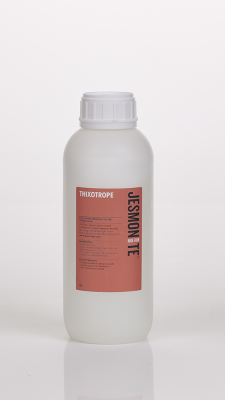 Jesmonite Thixotrope (for AC100/200/300) - Industrial Plasters Ltd.
Jesmonite Thixotrope is added to the mix to thicken the material to a ‘Gel-Coat’ consistency. This is useful when brushing or spraying materials onto moulds with vertical faces as it prevents the material from slumping. 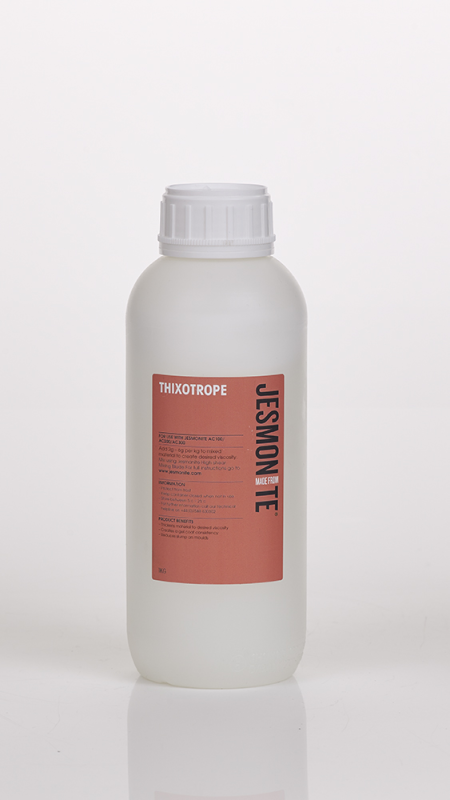 Thixotrope should be added to the mix after the powders and liquids, and is best mixed using the High-shear Mixing Blade. Add drop by drop until the desired consistency is achieved. Typical inclusion rates by weight are 2%–6% e.g. 2-6g per kilo of mixed material.